Tea Party Girl, Do You Sell Tea? I’m asked this question often. The simple answer? Yes and no. Someday I may sell my own line of tea from this website. But I need to choose to jump through the health department’s hurdles first, and I’ve chosen not do that. Some teas I purchase in bulk at wholesale prices and sell locally to friends and family to pay for my habit of drinking multiple pots per day. These are not teas, however, I can sell over the Internet. Yet. In the meantime, I try and point you, my readers to teas I do recommend. In September, for example, I reviewed some of the dessert teas offered by The Art of Tea. You can read the the review here. And when I list teas in my writing, for example the list of looseleaf teas for the beginning brewer in the article, “The 23 Best Gifts for the Tea Party Enthusiast” I link so you can purchase them. Tea Party Girl does not offer paid reviews. In other words, I won’t give you a good review of a product whose company has paid me to write said review. Sometimes companies approach me and ask to send me free tea-related items to review on this site. I almost always say yes, as free tea items are a definite perk to this job, wouldn’t you agree? But it is in your best interest for me to give an honest review. And your best interest is foremost in my mind because if I don’t have readers, what’s the point? So my commitment is to offer you my authentic perspective on tea and tea-related items so you can make informed purchasing decisions. Recently, Choice Organic Teas sent me some samples. They sent me teabags, but they do sell looseleaf teas on their site. Their teas stand out to me because the company claims that over half their tea offerings are fair trade certified,”far surpassing the numbers of any other tea company in the United States,” their website claims. It’s quite inspiring to read their web page, “Why Fair Trade” and remember how the choices of those who have money (us) can affect those who don’t. They sent me four different teas: Organic Himalaya Green Tea, Organic Magnolia Oolong Tea, Organic Earl Grey with Lavender Blossoms, and Organic Lemon Lavender Mint Herb Tea. I tried the Earl Grey first. The individual teabag packages do not have brewing instructions on them. I did find general brewing instructions on their website and maybe they offer them on the boxes of teabags they sell. For an Earl Grey black tea, I would brew it with a rolling boil of filtered water for four minutes. My result was slightly bitter, but with the distinctive Earl Grey flavor. I tore open the teabag and not surprisingly found very small leaves, if one can call them leaves. In the green tea, the texture was like rough sand. This may explain the bitterness, as I may have brewed it too long. The story was the same with all four teas regarding the size of the leaves inside the teabags. Teabags most often package tea leaves that resemble crumbs, often because they are less expensive and provide a quick infusion. I cannot vouch for their looseleaf teas, though I would assume the tea leaves are more intact. 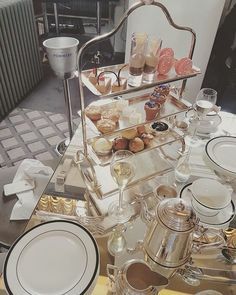 I cannot overemphasize, though, how wonderful it is to drink with a clear conscience, knowing my cup of tea is not at the exploitation of the one who picked the leaves for it. I would look more closely at this line of teas for that reason alone. I’m curious, do you buy any of your tea online? Why or why not? I would love to hear from you in the comments below. I do not buy my tea over the internet, but I will when I move. Very near to where I live is a wonderful fair trade roastery, they also make fair trade tea and chocolate http://www.justuscoffee.com/Default.aspx . Fair trade is wonderful, I even buy fair trade, organic sugar. Nope, don’t buy online yet but you should consider searching out some suppliers to partner with as affiliates–and sell the good ones! I buy tea over the internet. I used to buy it from theteacaddy.com, but they must be out of business because the webpage will not longer come up. My last batch of tea was purchased from teavanna.com. It is good, but they didn’t have the selection that teacaddy had. Thank you, Tea Party Girl, for your fair trade link; I’m going to check that out. Thanks also, Carina, I’m going to google Chado Tea as well. I’m just getting started. I’ve been drinking tea made from teabags, but I got a lovely Tetsubin cast iron pot for Christmas. Since it came from Sensational Tea ( http://www.sensationalteas.com ) and my friends added some samples, I’ve ordered more samples from them. They don’t have an extensive collection, but they do have a good number of Fair Trade certified and Ethical Tea Partnership teas. I will probably order more tea from them. We also have a Teavana in our local mall. 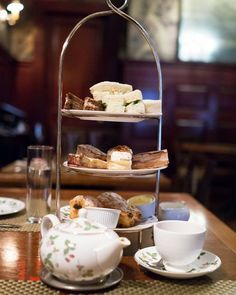 I’m currently searching for a source for the best tea I ever had – it came from England. I just need to get the name so I can look for it. If it’s available online, then that’s where I’ll buy it. Sorry for the long post, and thank you for your site – I enjoy it so much. I buy tea everywhere; locally, internet, etc. On the internet I’ve recently ordered from Steph’s teas (http://stephcupoftea.blogspot.com/2006/11/list-of-current-teas.html) and been very happy with all the teas I ordered. I would recommend that you get your tea for FREE! 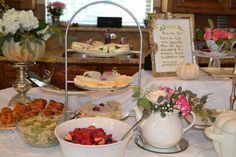 I did so by hosting a tea party with Tealightful Treasures. I received $90 in free products. The party was held in my home. The consultant brought tasting cups and plates, teapots and more. 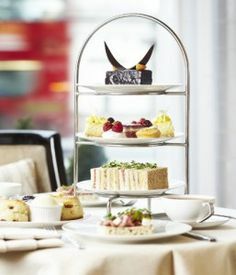 We had a decadent dessert theme and tasted chocolate mint tea and caramel cream, sweet cherry rooibos and sunshine rooibos. These were served with hot scones, preserves and cremes. The tasting was so much fun and the information that we learned was amazing! Check out the website at: http://www.tealightfultreasures.com! Carrie, I was wondering how much you had to pay to host the Tealightful Treasures party? Do you pay per person? I’m curious how that works. Thank you! The question was asked if you had to pay to host a Tealightful Treasures tea party. NO! In fact we pay you with Hostess gifts depending on the amount of sales at the party. 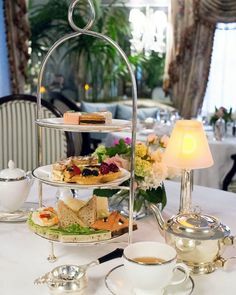 I will serve a variety of loose leaf teas, scones, cookies, dessert cremes and will share health benefits and much more with you. What better way to warm the heart than spending relaxing tea time with friends? What better way to warm the body than with delicious, healthy tea! Contact me for more information on purchasing tea and related products or to host your own tea tasting party. We are also looking for new consultants nationwide. 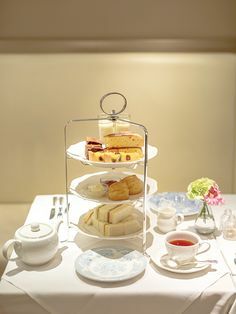 Would love to have you join us in this TEAriffic company!